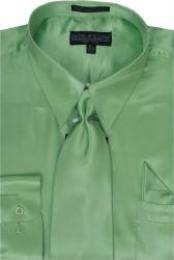 Satin is a certain type of material created from firmly weaved smooth silk. 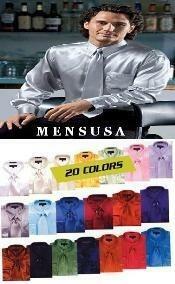 Satin shirts are highly valued around the planet for their glow and shine, not to mention the smooth and smoothness of the material. Though Cotton created specifically from smooth silk can be a bit costly, the smaller costly ones are usually created with rayon, acetate, plastic and cotton etc. Satin gives any clothing, a modern and sheen-filled look. It suits completely and gives a wealthy experience, a perfect choice for Tuxedos. Cotton is hotter than cotton and can be used both during summer time and winter weather. The smooth material keeps you relaxed during summer time season and when combined with a coat, it keeps you warm during wintertime season. Cotton clothing comes under the elegant category; you cannot wear satin clothing with a pair of jean material, However they are the best when it comes to Official clothing. A very essential point to remember before investing on a satin clothing is that, a lot of treatment has to be given before attempting to clean the material, read the guidelines on the treatment label. The material can be hand washed with a gentle fluid cleaning agent, However it is always advisable to get it dry washed by a professional who is experienced in managing sensitive and costly materials. Why should one choose satin over any other fabrics? Well, it feels relaxed, gives a wealthy and glow look, which simply leaves a lasting impression on the people around you. It suits completely and has an accurate finish. A satin clothing with a good tie combination (Preferably Silk) closes the deal in any formal occasion, be it a wedding, a spiritual collecting, an essential business meeting, a dinner date etc. What else is required to enlighten a special lady than by wearing a Lilac satin shirt with a speeding tie associated by that enchanting look on your face?